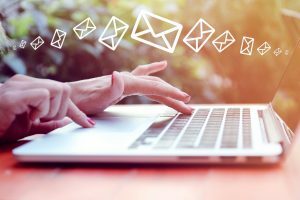 While the real estate industry heavily relies on email communications between agents, brokers and clients, not all emails are safe. Typically, scammers will make an email appear professional and legitimate by sending it from someone you know; however, keep a close eye on the actual email address of the sender. Is it coming from your colleague’s typical email or is there a slight difference in spelling or sending source? If you are unsure, it’s better to pick up the phone and confirm that person actually emailed you instead of opening yourself up to potential fraud. In some cases, an email can also be hacked. So, if you weren’t expecting a document or a request for information, it may not be safe to reply or download the attachment. Fraudsters may even go as far as including a signature block to make the email seem more realistic. Double-check that the contact information below their name is accurate. If the phone number doesn’t match up with what you have on record for that person or company, call the standard number instead of the one provided on the email. Never send checks or personal information to the address listed in the email unless you are 100-percent sure of its validity. This can get a little complicated, especially when it comes to real estate clients. Many agents use email to get paperwork signed and communicate important transaction information. Agents, let your clients know that anything sent by you asking for a signature or personal information will be confirmed via a phone call. Buyers and sellers, always check with your REALTOR® before signing anything you weren’t expecting to receive. The same goes for attached documents. Don’t download anything unless you have confirmed it is coming from a reliable sender. This is the easiest way to spot a fraudulent email, but with scammers getting more confident in their delivery, you might not see this as often. Any emails that have incorrect spelling and grammar, or in which the text is confusing and doesn’t provide context, should be viewed with caution. While not a scam in every instance, it’s better to reach out to the sender via a phone call before responding to their email or downloading anything. Remember, when in doubt, follow up with a phone call and don’t download or sign. You can find a list of the latest scam tactics and how to report them at USA.gov. 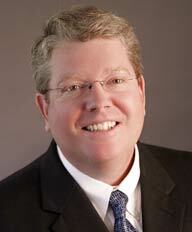 "Ricky Moulton I loved buying our home with Ricky! We were moving from out of town, and he was persistent with extra legwork for us... continued"